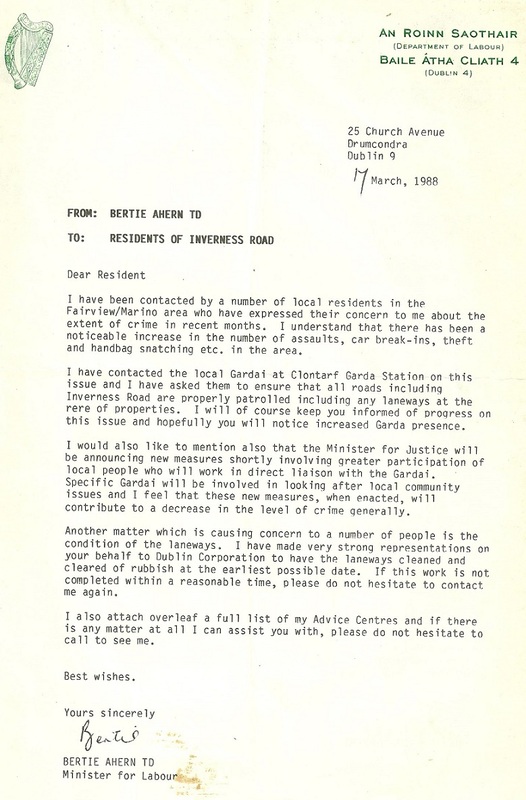 A 1988 letter from then Minister for Labour, Bertie Ahern to Residents of Inverness Road in Fairview regarding Crime and Laneways . It also has details of his clinics in Dublin Central on the reverse. 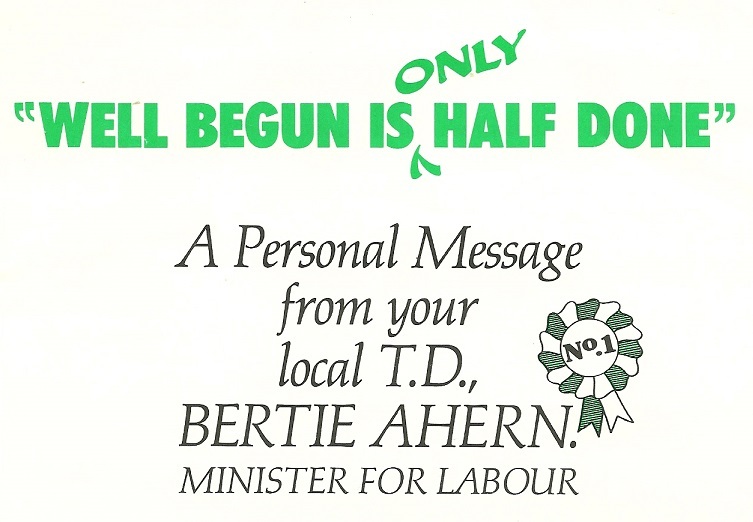 From the 1989 General Election campaign a leaflet distributed to voters, “A Message from Your local TD Bertie Ahern”. 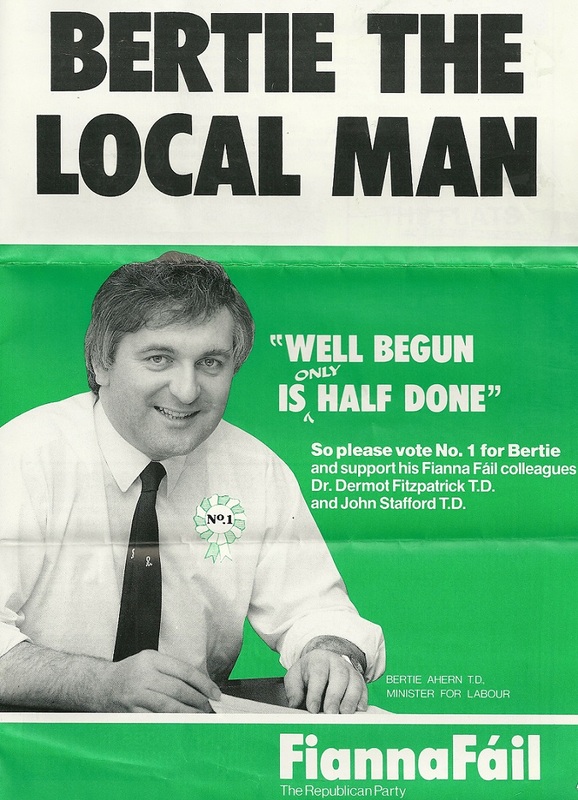 From the 1989 General Election a leaflet from then Minister for Labour, Bertie Ahern running in Dublin Central. Just a note to wish you all a Happy Christmas and to thank you all for your continued support, sending on material and the like. 2016 promises to be a big year with a General Election and loads of leaflets , so I’d be thrilled if you kept material for me. 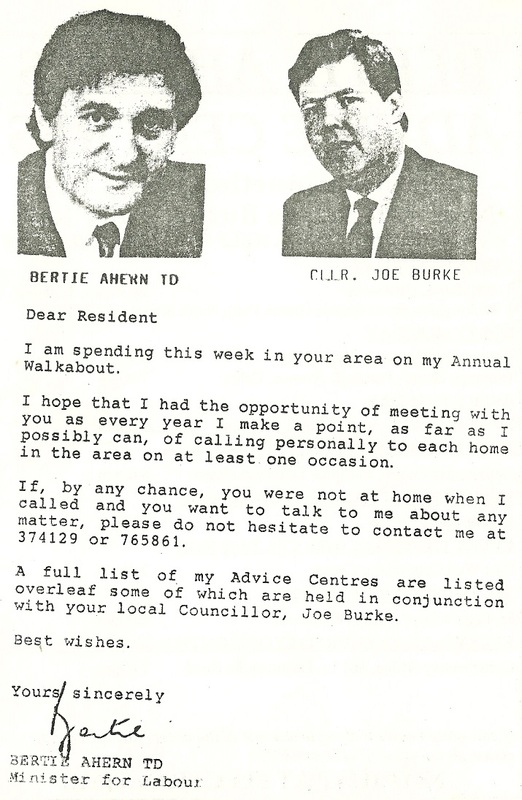 A leaflet announcing that Bertie Ahern in conjunction with Cllr Joe Burke would be in your area on his ‘Annual Walkabout’. 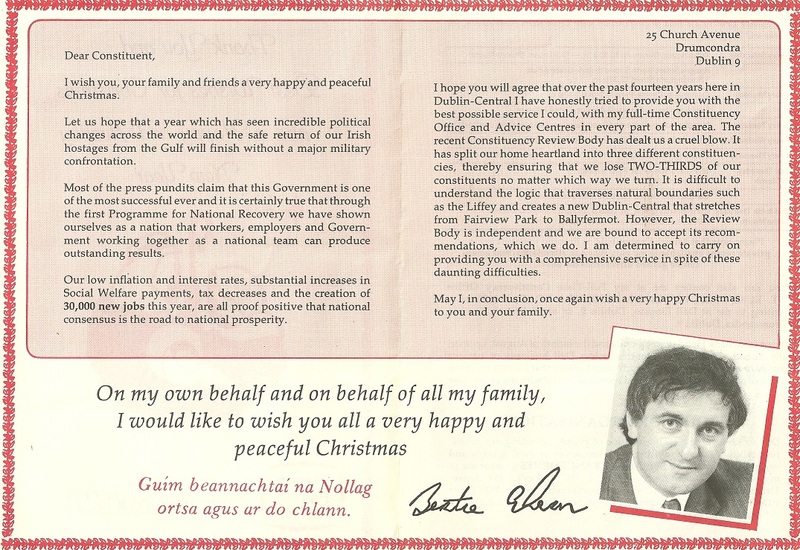 The leaflet also has details of Bertie Aherns Advice Centres. 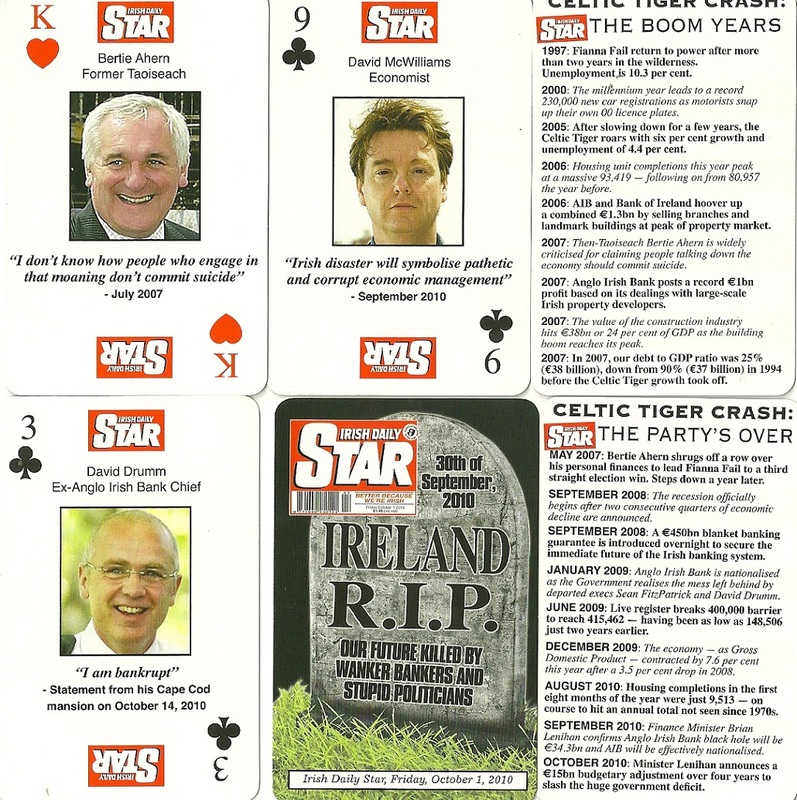 To mark the second anniversary of the Bank Guarantee The Irish Daily Star produced a set of playing cards with quotes from many involved in The Crash. 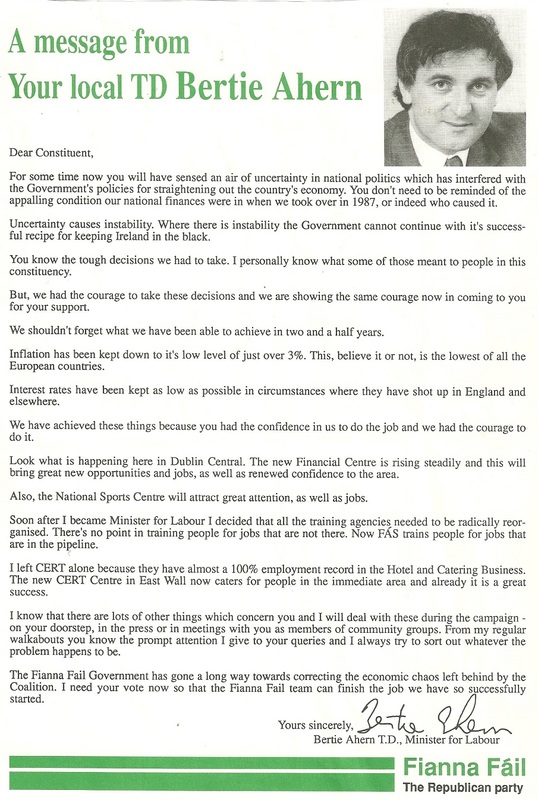 Bertie Ahern, Brian Cowen, Sean Dunne, Patrick Honohan, David Drumm, Patrick Neary are among the many included. A reminder of the time.